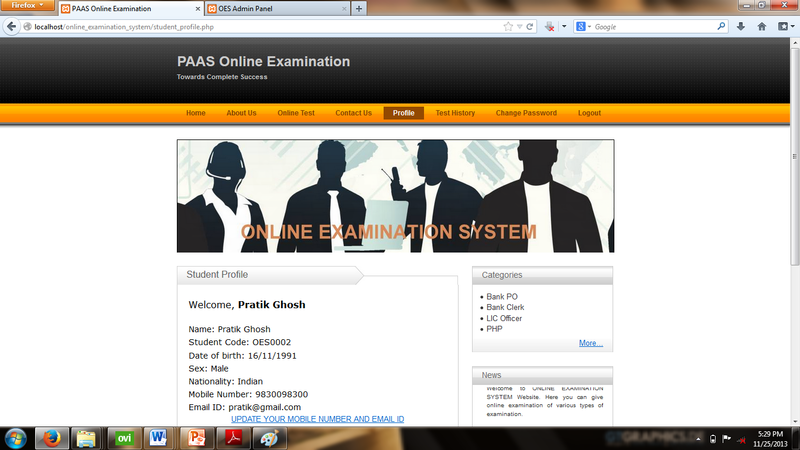 Its a online examination system where u can add examination category and test as a admin and can upload online so that registered user can give exams according to there chice or your given choice. 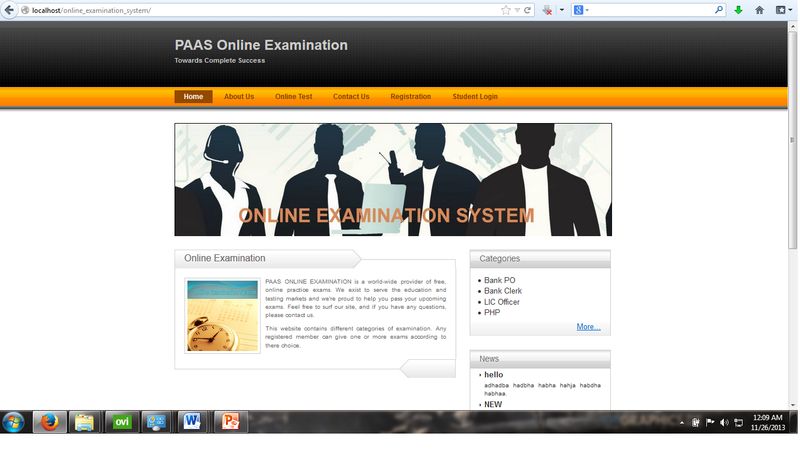 Superadmin can add admins and can manage there profile, can add time for a specific exam, can manage examination category test, news and can view feedbacks given by users, Registered student can view there test result when the test will end. and also can view there test history.